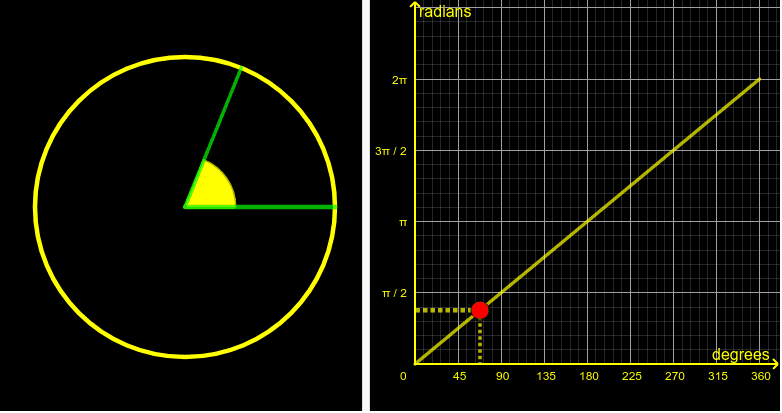 how are degrees & radians related ? Drag the RED dot. What questions would you put to your students based on this applet ?